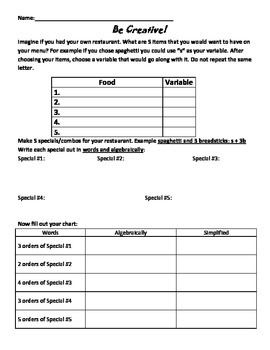 This activity allows students to think about Distributive Property in a real life way. 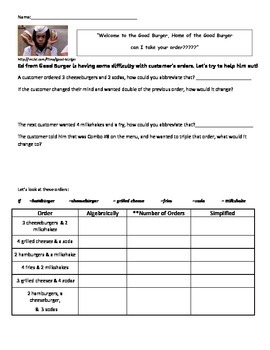 I engage students with a video clip off of YouTube to show Ed at Good Burger getting confused with orders, and we have to help him organize and simplify the orders. 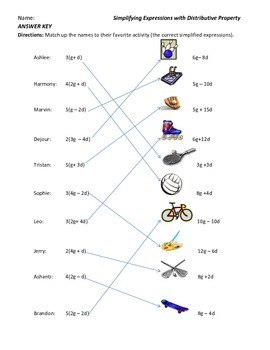 This is 6 pages: Thinking section/note page. 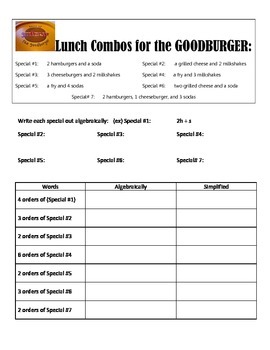 2 Practice worksheets, 1 Homework assignment, a Creative Activity, and an Exit Ticket +Answer Keys included in this bundle.